- New Videos are up! One mentions the benefits Vets receive when attending West Michigan College of Barbering and Beauty! - Clinic Hours Page has been updated with new times. Added a Clinic Hours Page, this page will list the day and hours we are open for drop ins. All work is done by supervised senior students. 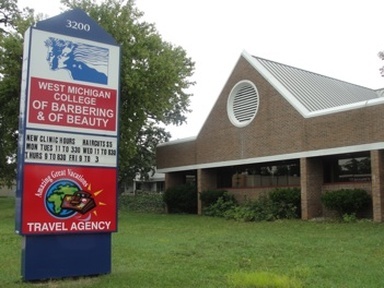 At West Michigan College of Barbering and Beauty you can learn the latest techniques in cutting, hair extensions, and sculptured nails from master instructors. Its the only Barbering School in West Michigan, and only Beauty School in Kalamazoo. Enroll now for day and evening classes; full or part time. If you get started now you can start your Beauty or Barbering career in a little over a year.